National Endowment for the Arts Chairman Jane Chu has approved more than $25 million in grants as part of the NEA’s first major funding announcement for fiscal year 2018. Included in this announcement is an Art Works grant of $20,000 to the Open Architecture Collaborative for a pilot called Pathways to Equity: A leadership development program for community design practitioners. “It is energizing to see the impact that the arts are making throughout the United States. These NEA-supported projects, such as this one to Open Architecture Collaborative, are good examples of how the arts build stronger and more vibrant communities, improve well-being, prepare our children to succeed, and increase the quality of our lives,” said NEA Chairman Jane Chu. We are thrilled to partner with the Association for Community Design to pilot this educational program for emerging professionals. There are many opportunities to informally engage in community design work, our chapter network included, but it is time to begin investing in robust, experience driven, training to give credit to the seasoned practitioners and to strengthen our impact driven work as an industry. The program description is to support the planning and implementation of a hybrid platform of in-person engagement and online education for the growth of emerging leaders in the Community Design field. A partnership between the Open Architecture Collaborative (OAC) and the Association for Community Design (ACD) will compile and organize knowledge and expertise in the community design fields into online courses and in person guided engagements for participants to apply acquired tactics and build leadership skills under the mentorship of long-standing practitioners and community-based partners. 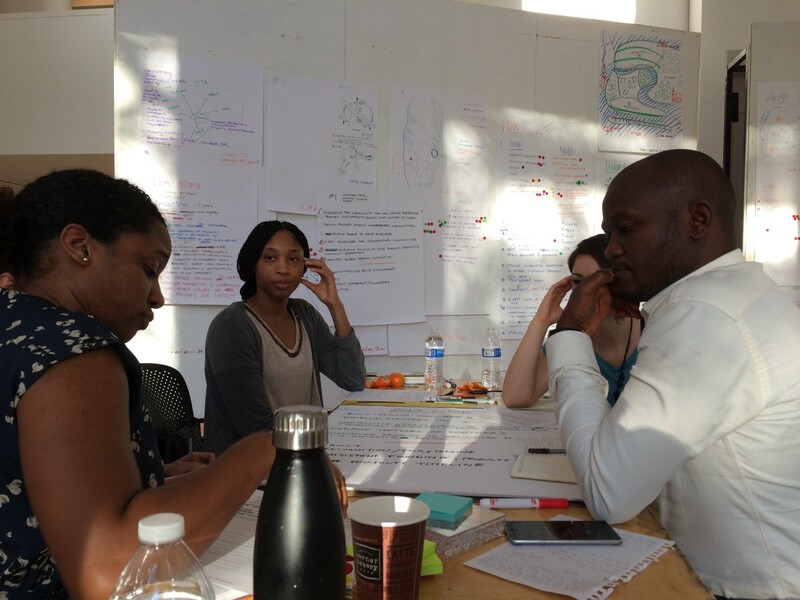 Participants concentrated in one region with strong OAC chapters and ACD member organizations will supplement their design education, engage with a local community-led organization, and be guided by community design methodologies for equitable outcomes. Local engagement with community members will continue for one year after course completion and the OAC will survey participants for up to two years after the program. Open Architecture Collaborative Leadership Summit and Training, early 2017, an example of the many events and programming produced by the organization. Pictured: Chandra, Shana-Kay, Whitney and Taye. While there are still many details to design, we are grateful for all the chapter leaders and members who advocate for more formal trainings. This feedback has payed off and we are looking forward to sharing the lessons from this pilot and scaling across our shared networks. The Association for Community Design is happy to be a partner and collaborate with OAC. As national networks, it’s important to think about how we work more collectively to support emerging designers and support the development of leadership within the field. We’re glad to see the federal support for this work. Said Theresa Hwang, Past President of the Association for Community Design. This partnership formalizes a long time friendship and signifies a more collaborative ecosystem of community design practitioners. Stay tuned for more information regarding the location, schedule, and structure of the program. The Open Architecture Collaborative is a global learning network to mobilize architects and designers towards greater community good.